I don’t know if we can call this a personality test, but it will tell us something about you. You are give two motorcycles to choose from. One is as it was from the factory in 1973. 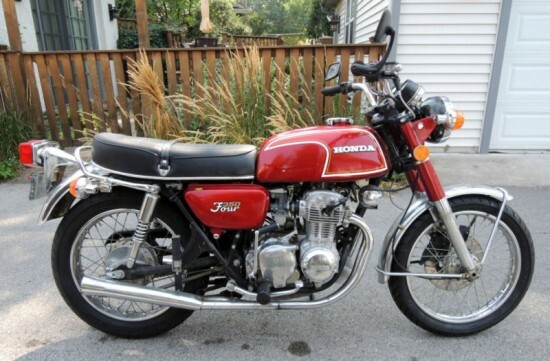 The seller of the original 1973 CB350F did make some modern improvements, kind of resto mods, to make it a better daily driver. But they have kept the looks as is, and as from the factory. Is this for you? 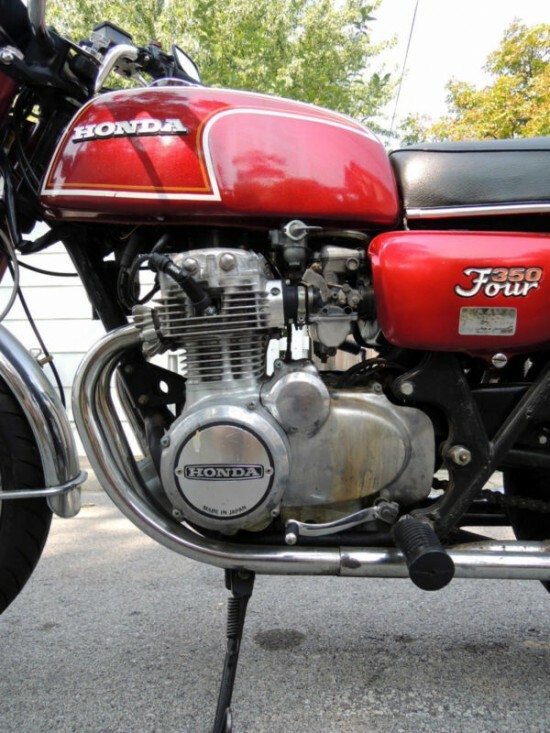 Some slight changes have been made to this 1973 CB350F that could be called Café. 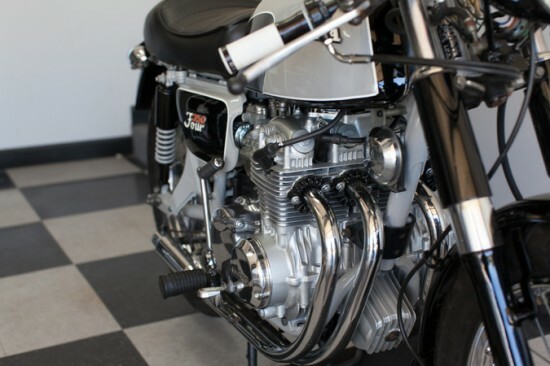 This bike has been completely stripped and rebuilt. Frame was sandblasted and professionally painted and clear coated. All parts have fresh paint including engine. New points, valves adjusted to specs, all around tune up. Tank is “Red Coated” for rust and leak prevention in the future. CEV headlight bucket with Drag Specialties speedo mounted in bucket. New D3 professional handle grips. 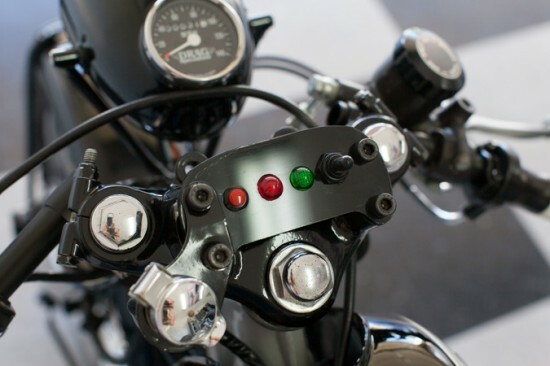 Slim tail/brake light and signals. Original wiring harness and electronics with a few modifications for custom dash board. Aftermarket high flow mufflers. Custom seat. Front disc brakes. New tires. New battery, new fluid. 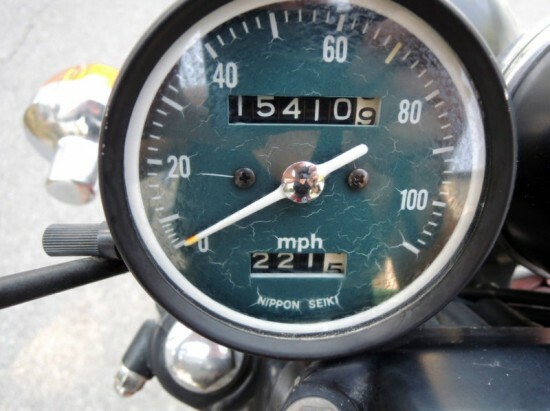 The 350/Four is a sweet little bike, I had one long about 1975 and used it to commute to 30 miles to work each day. 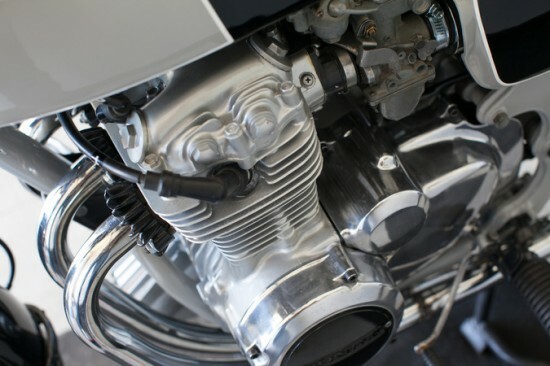 The engine is a jewel but seriously lacking in power. 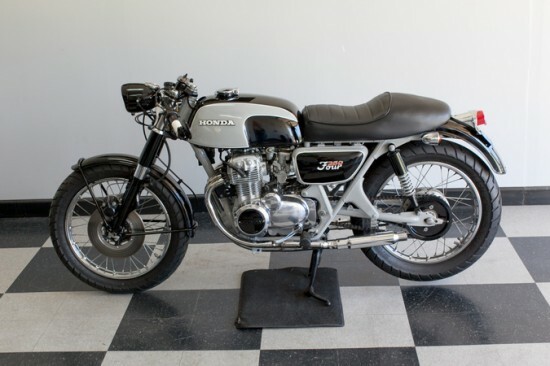 That nicely done cafe version would be fun to own but riding it would be mainly an exercise in style. Never the less, I’d be pleased to have either one in my garage.